Gentlemen, I Give You The Future… BEEF! One of the best things about doing the podcast is being encouraged to watch films that we (well I) would otherwise never bother with. 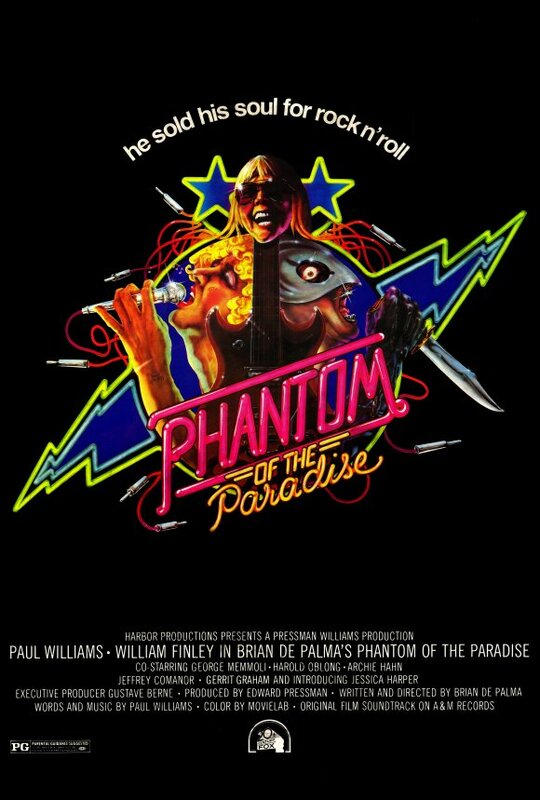 Case in point; our film this week is Phantom of the Paradise . If listener Zvonimir hadn’t recommended it would Lewis and I really have sat down to watch a 1970s rock opera? Well, we did watch Zardoz, so you never know. A bizarre mixture of The Phantom of the Opera, Faust and A Picture of Dorian Grey, Phantom tells the story of unlucky Winslow Leach who becomes the titular Phantom after having his music stolen by the all powerful music producer and Ronnie Corbett look-alike Swan. For the first quarter of the film Lewis and I really didn’t know what to make of Phantom. Was it serious? Was it supposed to be a comedy? What on Earth was going on? It was the introduction of the character Beef, played by Gerrit Graham, where the film started to work for us. He’s ridiculous, over the top, amusing but very watchable, just like Phantom itself. Our Secret Sponsor for this week is Authentic London Tours, a tour company run by friend of the show Jason. If you’re looking for a tour of London that’s a bit different check out Authentic London Tours! If our review has piqued your interest in the film, you can buy the Blu-ray from Amazon by clicking here . We get a little bit of cash if you do – thanks in advance!